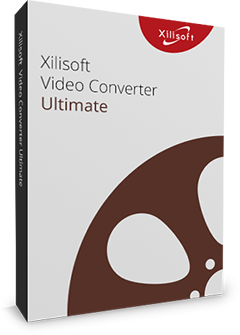 It is now possible to put videos and audios in any format into your iPod with Xilisoft iPod Video Converter for Mac! It can convert most popular video formats like AVI, MPEG, WMV, DivX and M4V to iPod format MP4 or MOV, and convert popular audio formats into iPod MP3 and M4A with Mac iPod video converter. 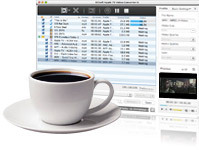 Convert files in high speed while still maintaining the audio and video quality. Supported video formats: AVI, MPEG, WMV, MOV, M4V, 3GP, and VOB. Besides video conversion, converting and converting audio is also supported: MP2, MP3, MP4, WMA, WAV, AAC, and AC3. And CD decoding is supported now. Choose from preset formats to convert or manually adjust these presets according to your preference and save these settings as your own for future use. Use either the general settings, or for professional users – use advanced settings. These settings include video and audio bit rate, quality, codec and others. If you just want a certain clip from a video or movie, you can just set the start and duration of the clip to convert. This iPod video converter offers you the option to export the outputted files to iPod directly after conversion. Preview the original video or your edited video with the built-in resizable player before conversion, so you can still make changes to avoid wasting time. Conversion LogThere's a record of conversion history for you to check whenever you need it. Set an after done action: hibernate, standby, shutdown or exit before conversion to avoid waiting. 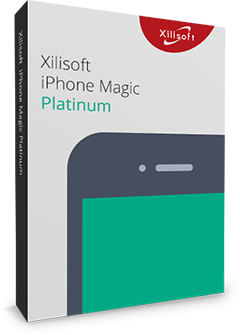 Xilisoft iPod Video Converter for Mac provides multiple language interfaces for different mother-tongue users: English, German, Spanish, French, Japanese and Chinese.